Cardamom is a key ingredient in Indian curries and specialty tea blends, such as Turkish kakakule. In Iran, the whole pods are often ground with whole java beans to produce a unique coffee blend. Ten pods is the equivalent of about 1 ½ teaspoons of spice. active compounds Volatile oil, fixed oil, salt of potassium, chlorophyll, starch, nitrogenous mucilage, ligneous fibre, an acrid resin, and ash. The volatile oil contains terpenes, terpineol and cineol and limonene. appearance & aroma Pods are light green; seeds are dark and fragrant. decorative Add to potpourri mixtures and floral displays. culinary Use to flavor teas, wines, cordials and other beverages. Cardamom pods are widely used in Chinese, Indian, Middle Eastern and Scandinavian cuisines. aromatic Use in perfumery and soap-making for scent. 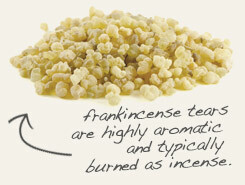 Grind together with frankincense tears to produce a fragrant granular resin incense. 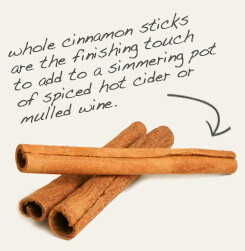 Pair with whole cinnamon sticks to flavor hot and cold beverages. Warm, mildly bitter and citrusy. Blends well with most other warm, aromatic spices. Cardamom is held in such high esteem in terms of aromatic and culinary value that it is affectionately referred to as the queen of spices. Both pod and seed contain a long list of volatile oils, many of which are antioxidants. Cardamom pods are also an exceptional source of vitamins and trace minerals. For each 100 grams, cardamom supplies 35% of the daily recommended allowance of vitamin C, 57% of magnesium, 68% of zinc and a whopping 175% of iron. 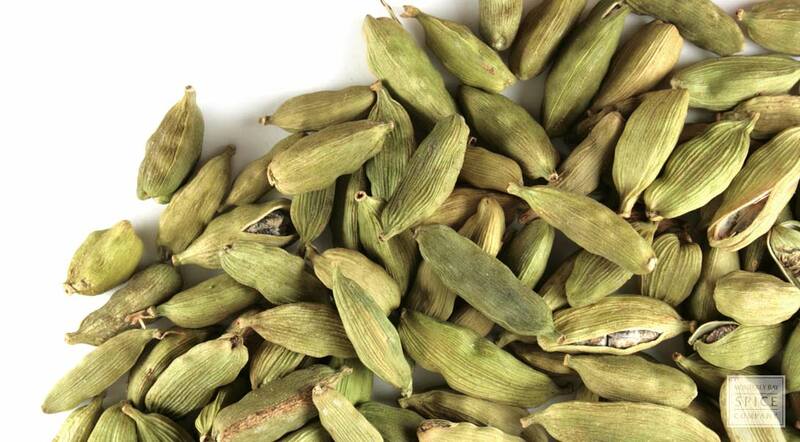 In addition to adding flavor to Indian curries, bean and rice dishes and tea and coffee blends, cardamom pods are used to create sweet treats. For instance, in India and Pakistan, cardamom combines with pistachio and raisins in a popular rice pudding called Elaichi kheer. Pistachio and cardamom also team up in Indian ice cream, also known as kulfi.